So you’ve played Mobile Legends on your Android device? It won’t take long to notice how weird it can be while playing on an Android device!! This holds especially true for PC MOBA players. 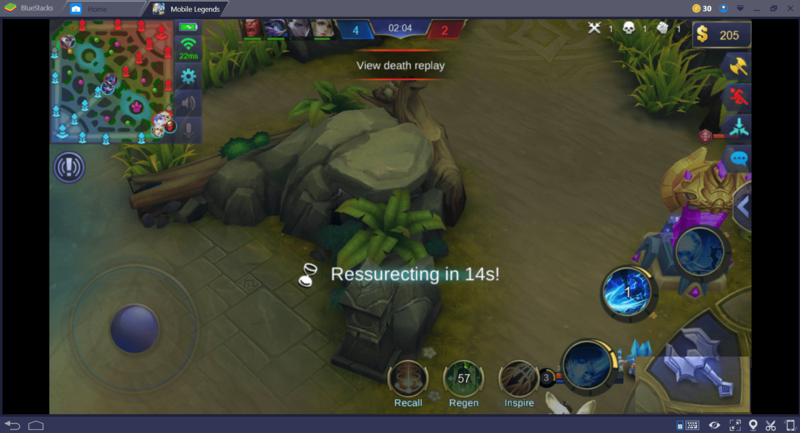 Unless you have a very high end Android device and you’re already used to playing MOBA games on your Android device, you’ll see that the game can seem laggy at best. Typical Android devices these days simply were not built for the type of responsiveness you’d need for playing Mobile Legends. Then for PC MOBA players, the controls can seem awkward despite the best of efforts being used to design and make them. 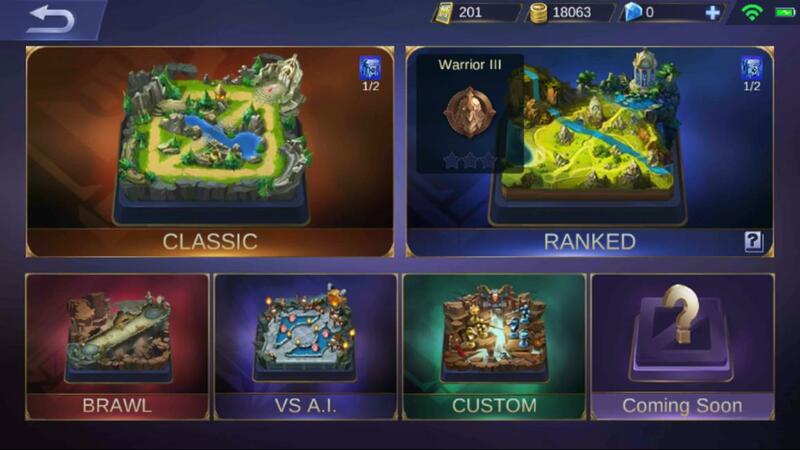 So how do you get around these problems for a true blue PC feel to playing Mobile Legends? You simply play the game on your PC. Even though your Android device might provide smooth as can be gameplay, your PC can still do it better. It’s just plain fact that most, if not all, mobile devices can’t fully match the expandable power of a PC. Rather than letting your PC collect dust because you’re playing on an Android device, why not play the Android games on your much stronger PC and keep your mobile device open for calls and texts?!! 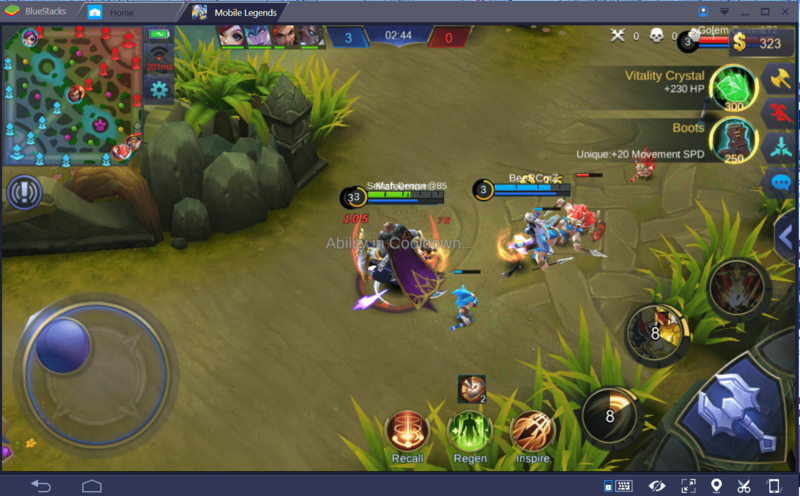 How do you play Mobile Legends on your PC? 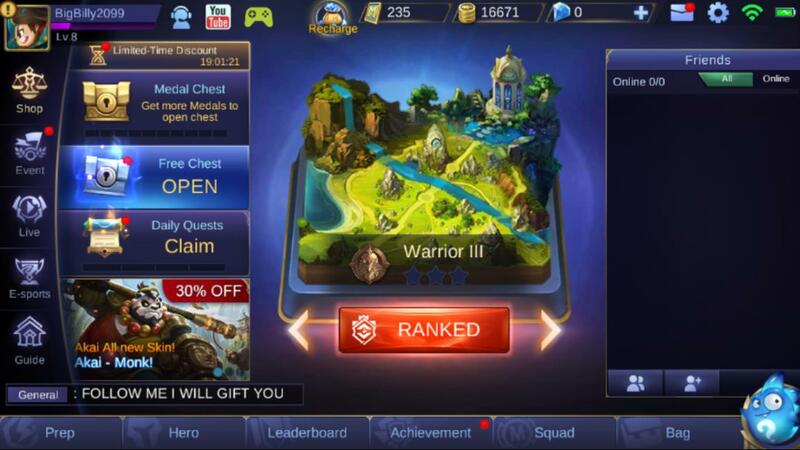 Simply install Bluestacks 3 onto your PC. From there, you can configure it just like any Android device in the Bluestacks Settings. Once you’re in the Bluestacks Settings, configure it whichever way you see fit and add your Google account. 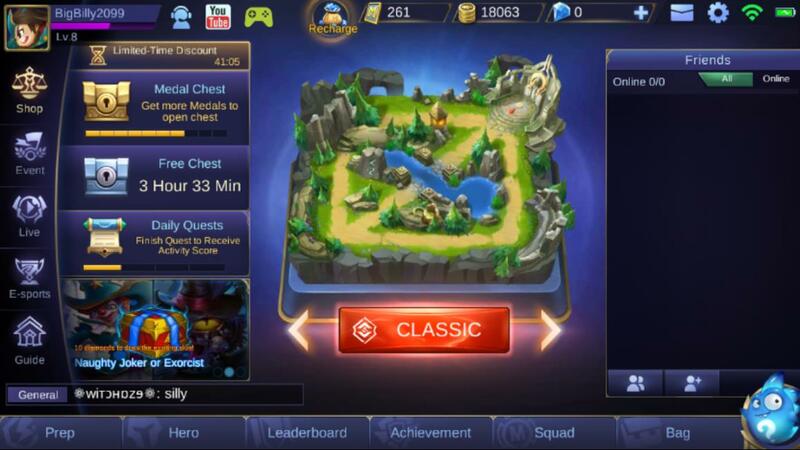 Once Bluestacks is configured to your liking, simply use the pre-installed Google Play Store to install Mobile Legends and you’re done!! Run Mobile Legends. 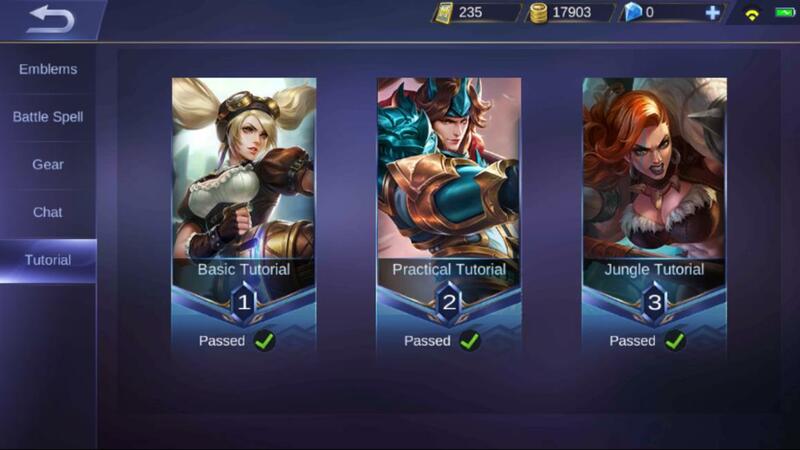 When you first start Mobile Legends, you’ll have to play through some tutorials. The opening tutorials are a GOOD idea to complete. Others tutorials are in the “not so much” category!! But once those are done OR if you’ve found a way to skip them you’ll be at the main screen showing below. No, it doesn’t have the measles!! Those little red dots you see are indicators to let you know that you either have something to set, check out, or collect. So do yourself a favor and look into them as soon as possible!! For example, the Daily Quests as showing below. Go earn and get your rewards!! If you have skipped certain tutorials, you can and really should complete them. You can find them by clicking the Prep button found in the bottom left of the main screen. 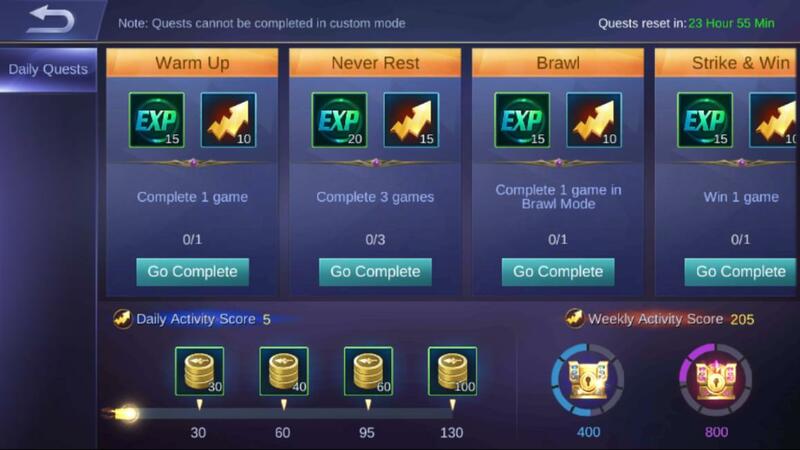 Each of these 3 tutorials you complete provides a certain amount of Battle Points (BP). BP is used to buy various things from the Shop. You can access the Game Modes by clicking on the center map as showing in the main screen above. Each mode will unlock as you level. By the time you reach level 8, every game mode will be available. There’s a tutorial for each game mode when it unlocks. The “Coming Soon” should be pretty obvious!! This is where Bluestacks excels over playing on an Android device. You have fully customizable controls AND a default set of controls ready to go. You can change the default controls any which way you like. The recommendation is to leave them in their current positions. 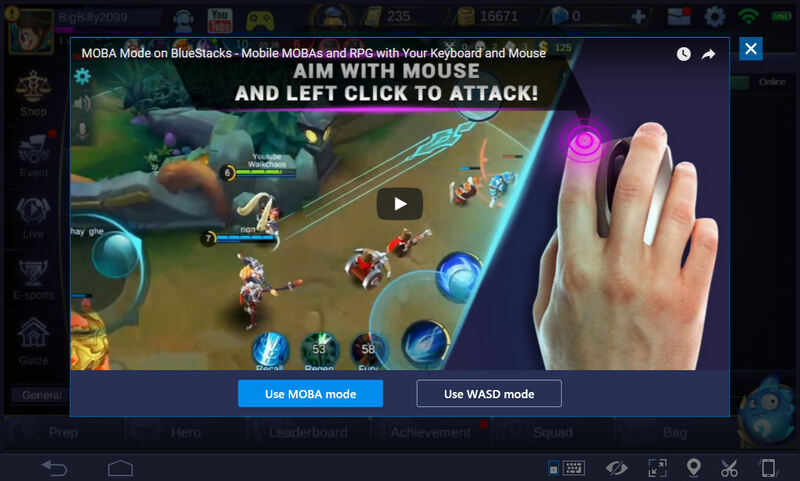 Each time you run Mobile Legends in Bluestacks, you’ll be offered to play in either WASD mode or MOBA mode. The WASD mode uses those keys for movement and has preset keys so you’ll be playing using the keyboard and/or mouse. The MOBA mode uses both keyboard and mouse. The RIGHT click is set for moving your hero. Then keys are already configured for the various skills as a default. IF you make changes to the default key map setup, be sure to click the Save button before you exit the Key Map setup screen by clicking the “X” button. The trick to all of this is that when using a keyboard and/or mouse (depending on your mode), you’ll notice quite a difference in responsiveness. As mentioned, your PC is built to be much more responsive compared to a mobile device. So with that speed boost, you have an advantage right from the start. To boost that further, a gaming keyboard and/or mouse can be used in place of the standard ones. Those types of controllers are built for speed!! 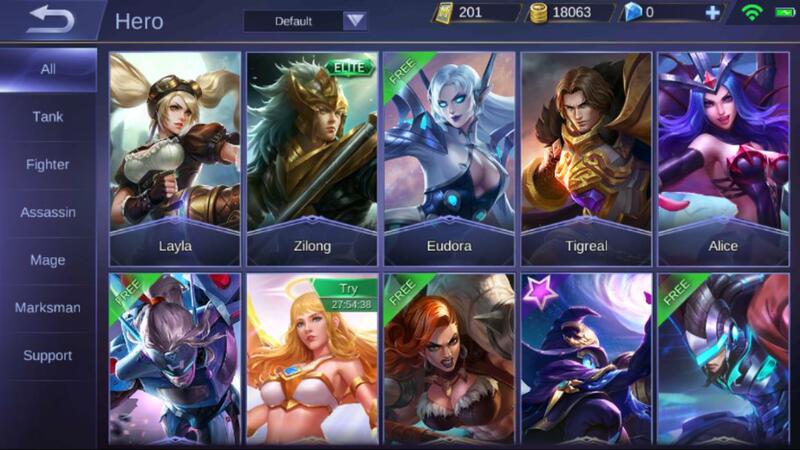 In here you’ll find all the heroes Mobile Legends has available. The list isn’t bad at all!! When you click on a hero, you can get detailed information about that hero. If you look at the upper middle area of the screen, you’ll see a drop down list for sorting. In the Shop, there’s an option to display only “Owned” heroes. But if something isn’t owned in the Heroes screen, you can buy it there. Prior to buying a hero, you can check out its skills. The recommendation is to go easy on spending when you’re first starting out. Try out various heroes first to see what you like playing with. Do note you’ll gain heroes via rewards too!! 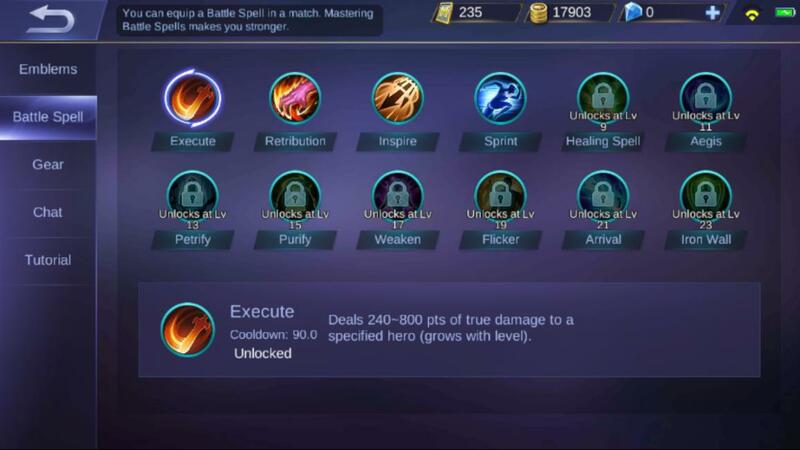 Of HIGH RECOMMENDATION is to take the time to read and understand the hero skill descriptions. When you click the Guides button in the bottom left of a hero screen, you can get specific information about the hero. 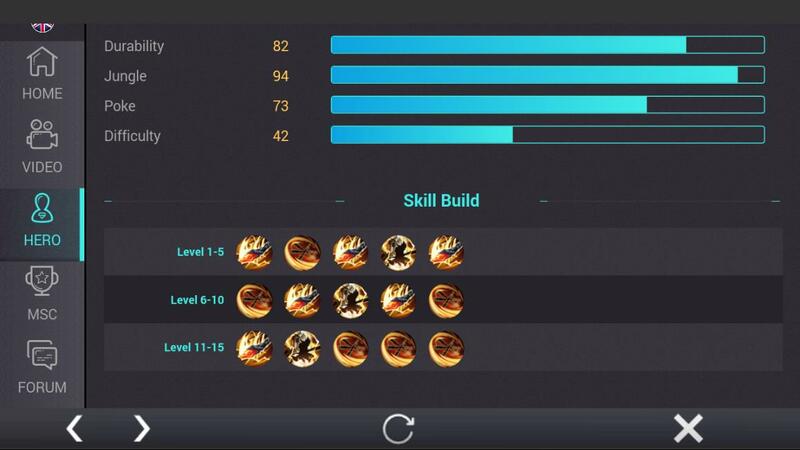 As showing in the screen shot below, you scroll down a little bit and you can see there’s skill build recommendations. If you scroll down further, you’ll see item builds for the character and a win rate according to that item build which could be very helpful. In the bottom left of the main screen, you’ll see the Prep button (short for Preparations). This is where you’ll setup Emblems, your Battle Spell, your Gear, Quick Chats, and you can complete the starting tutorials for the bonus BP. When you click the Prep button, it will default to the Emblems tab as showing above. These are boosters for your heroes. It depends on the type of hero you want to use. Before you start a match, you can switch Emblem setups as long as they’re available and depending on what type of character you’re using at the time. 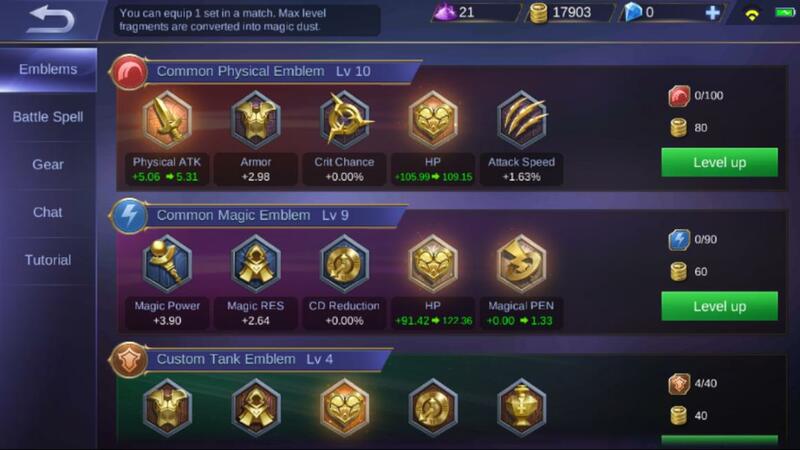 Normally Mobile Legends automatically selects an Emblem setup. That’s fine as long as you level it. But if you wanted to try another Emblem setup on a different hero, simply swap before the match starts. As mentioned above, it’s a good idea to take the time to read skill descriptions. That’s the idea behind trying out different Emblem setups on different heroes as the Emblem setups become available. There’re more when you scroll down the list. Do note that the stats listed in green are the ones which will increase during the next level up of the Emblem setup. These are skills which are unlocked via leveling. While using Bluestacks, the default trigger key is “F”. In the Prep section and before a match starts, you can set the Battle Spell to whichever one you’d like to use. This is a fun one!! 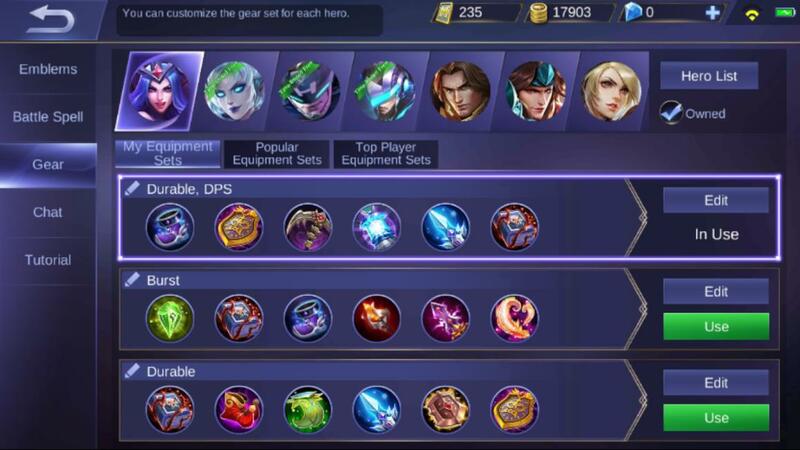 Of course there’re various item builds showing in the Guide section of Mobile Legends. The Gear section allows you to setup a complete set of item builds for EACH hero. Before a match starts, you can switch to whichever item build you like. Again of HIGH RECOMMENDATION is to take the time to read and understand what each item is capable of. This includes ALL their effects and passives. Of course, it’s your item build no matter what anyone tells you!! But you should consider item builds that play to the strengths AND weaknesses of the heroes. Your best bet is to aim for a nice blend of items and make sure to include a vamp effect in there. The Tutorial section was described above. The Chat section for quick chats is pretty self-explanatory!! You’ll find the Squad button on the bottom right side of the main screen. A Squad is a set of players that have agreed to play together. Usually they setup a schedule or they really should!! Think of it like having a permanent team. A Squad can have up to 5 members just like playing in a random team for any match. It’s a really good idea to know the hero types. 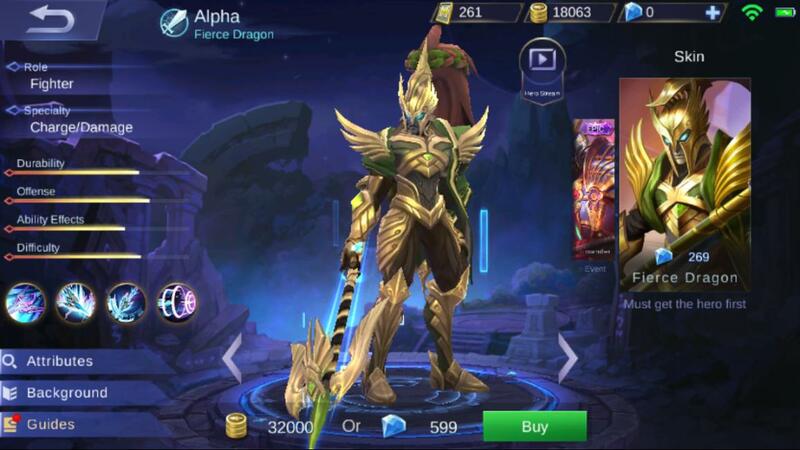 Mobile Legends has a variety of hero types AND mixed types. Each hero is found in a different category. Again, when you click on a specific hero in the Hero screen, you’ll see detailed information. Looking at the left side, you’ll see the types of heroes available sorted into their own tab. 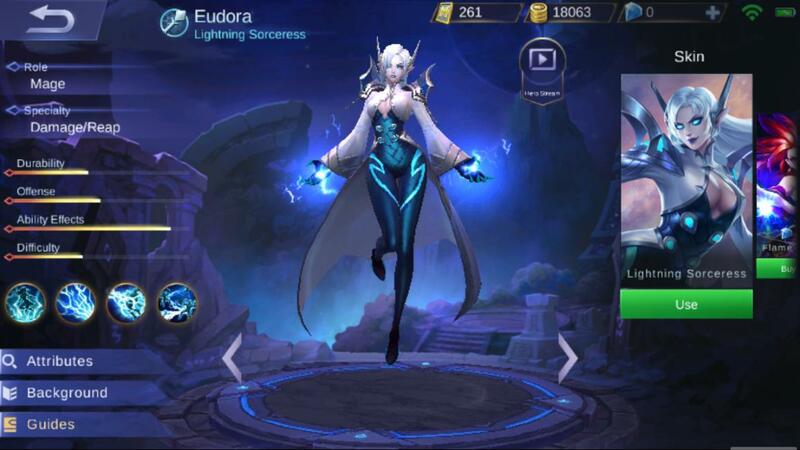 For example, here we have Eudora in the above screen shot. Mage is the role and Damage / Reap is the Specialty. What this means is that she can be built up to hit like an asteroid strike!! You’ll find some heroes have 2 roles as well. It’s on you to understand what your selected hero for the match does. Unfortunately, you’ll find many random players throughout your matches that don’t. Don’t worry about that too much!! These heroes are tough to kill due to higher than normal defenses and Hit Points (HP). So their main focus is to absorb damage. Basically, they’re the frontline heroes that others might want to consider getting behind!! But make no mistake about it. They can kill just as much as they can absorb damage. These are all around types. They can take a hit or 6 and they can surely shell out the damage. So trying to use them as a support hero won’t help you!! Fighters have various ways to close the distance in a hurry. So attempting to run from one usually won’t work out well for the runner!! It’s as the name implies!! Very similar to a Fighter, but they’re really lethal. There’s always the chance that a player might not find them so easy to use all of the time. This hero type is known to be a ranged heavy hitter. The fun part is that Mages are not glass cannons at the same time. Take for example Alice as showing in the upper right corner of the heroes screen shot above. She has a vamp effect in her level 4 skill. So yes, you better believe she can take serious damage and keep right on going!! These are ranged bombers similar to Mages but use physical damage instead of magical damage. They might not (debatable of course) hit as hard as a mage but they’re plenty fast on the attack!! As the name implies, these heroes are made to help out the team. But again, make no mistake about it. Let your guard down around a Support hero and you’ll be floor hugging in no time!! 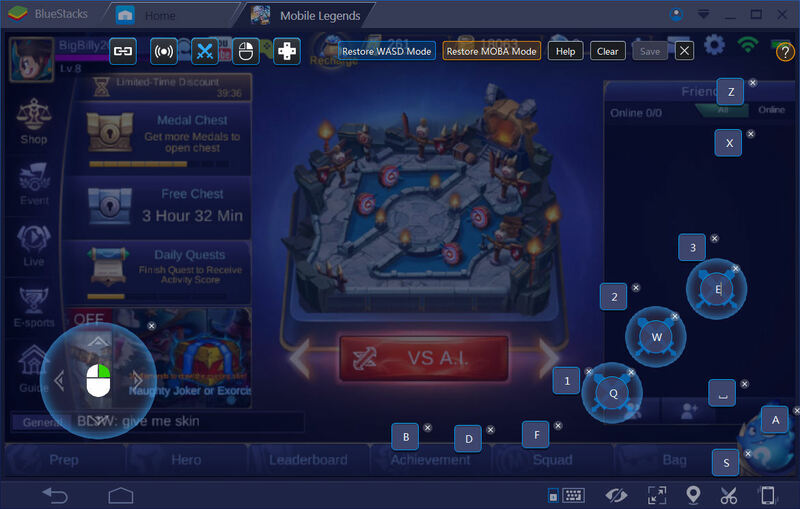 All in all, it shouldn’t take you long to get really far in Mobile Legends while playing using Bluestacks. Especially with that controls setup advantage. For the most part, pick heroes that YOU enjoy playing with. We hope that all that information has got you excited about the game. 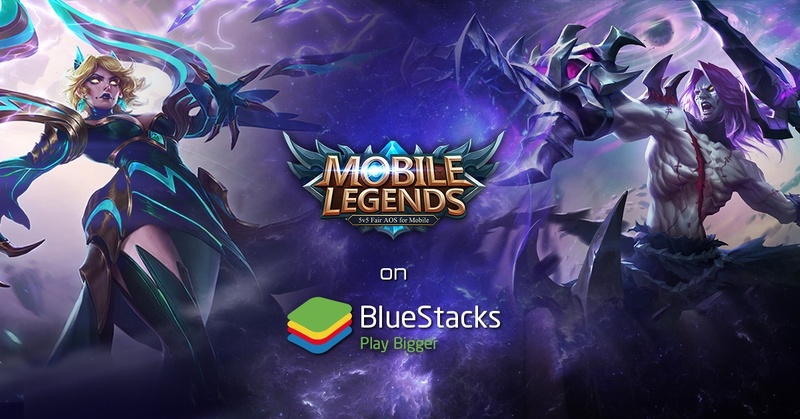 Don’t wait, start playing Mobile Legends: Bang Bang on Bluestacks now!